Close to the beginning of my project, I talked about what a business account on Instagram will get you (namely, statistics). As your account grows, it seems like Instagram will “level you up” in terms of what you can/can’t do. 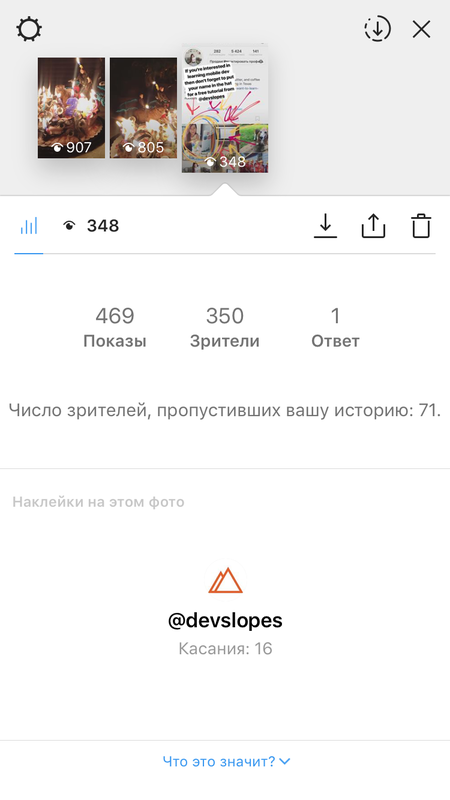 Around 5,000 followers I noticed that now in my stories I can see a lot more statistics. I checked this against my smaller business account (less than 500 followers) and the smaller account doesn’t have this capability. It seems like around 30,000 followers (just a guess based on observation) you can start to add links to Instagram stories; I’m looking forward to seeing what other little perks are out there as my follower count grows.